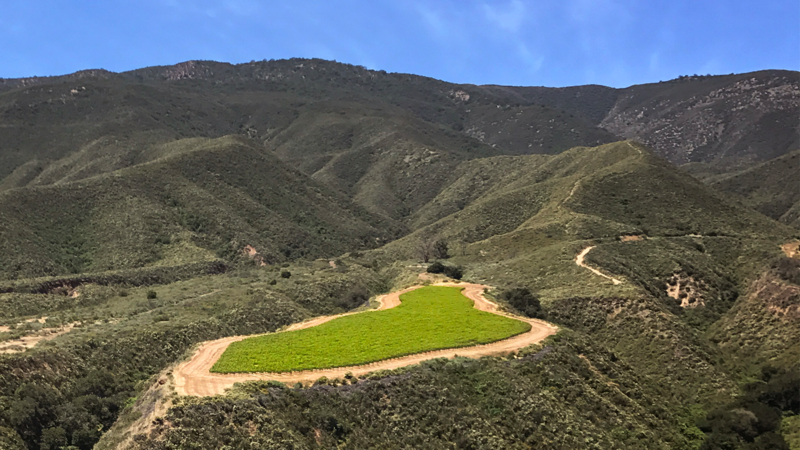 "Another gem is the 2017 Pinot Noir Sierra Mar Vineyard, which offers more blue fruits, wild strawberry, and forest floor notes as well as a concentrated, medium to full-bodied style on the palate. Layered, impeccably balanced, with beautiful length, it’s the real deal and a brilliant, brilliant Pinot Noir from the Santa Lucia Highlands." Moderage garnet in color, this wine has aromas of black cherry, leather, wild sage, and earth. It is powerful on the palate with dark and earthy accents that lead into flavors of strawberry coulis and spice. The bright acidity characteristic of the Santa Lucia Highlands brings balance and life to the rich fruit on this wine. Seamless oak rounds out the palate and brings unctuous length. Sierra Mar vineyard is owned by Gary and Rosella Franscioni, famed pioneers of the Santa Lucia Highlands. This incredible vineyard site reflects the best of the appellation. The vineyard produces rich, lush, unctuous fruit that is balanced by the natural acidity of the site.